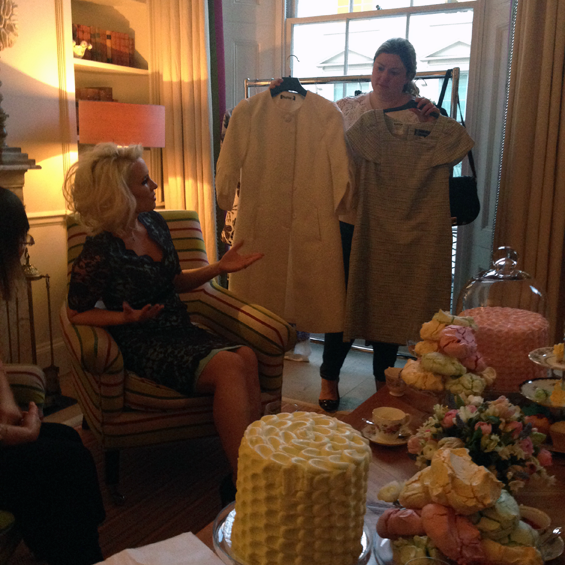 Claire Richards SS14 Launch Tea Party with Fashion World - Sugar, Darling? Boy was last week a busy one! 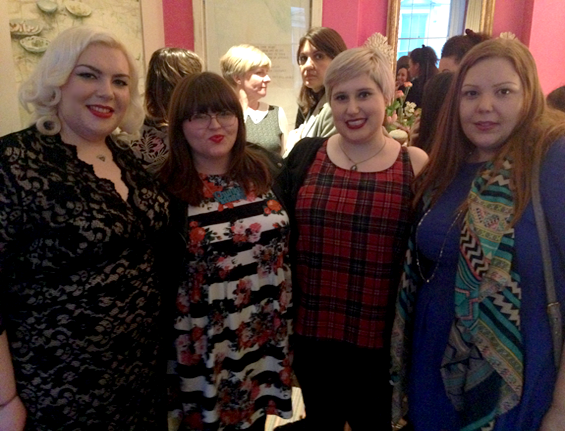 Revising for my upcoming exam, work, my Gran's funeral and two trips to London sure made it a bit of an emotional rollercoaster of a week but predominantly it was a nice one, seeing family that I don't get to see often and even meeting the absolutely beautiful Claire Richards at the launch tea party for her SS14 collection! 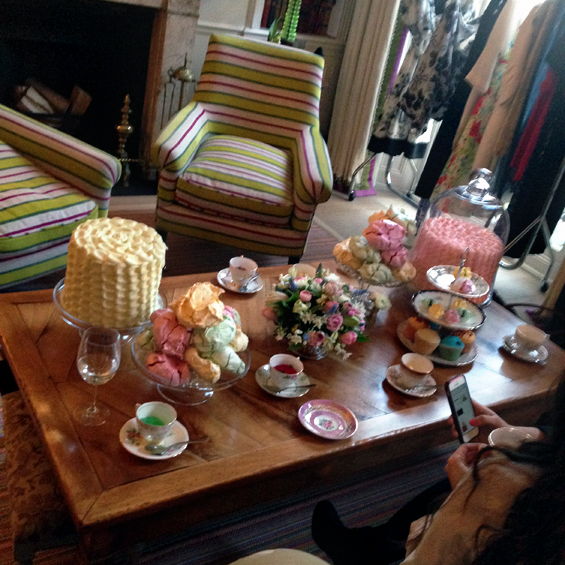 We entered a bustling but beautiful lounge and were greeted by a plethora of cakes, jellies and meringues, the delightful Fashion World PR team and style queen Hilary Alexander who was just lovely. She told me she loved my look and my dress which naturally was a big ego boost coming from a maven like her! We squeezed around the corner bagging ourselves a prime spot to view Hilary and Claire's discussion about the new collection and nattered about how stunning the little house was - seriously it was like a dream, perfectly furnished and decorated and just ideal for this type of event. It really was great to hear Claire speak about the collection. You'd be forgiven for thinking that a lot of celebrities don't actually have anything to do with products or clothing ranges that they bring out but this isn't the case with Claire, you could hear her passion for each and every piece as she described the detailing of each one. She had clearly put a lot of time and effort into making sure each piece was perfect not just in the cut and fit but also with the fabrics that were used, she told us that a lot of the pieces are inspired by vintage pieces she has that just aren't quite right so she wanted to make a perfected version of them - what a dream to be able to do that! I especially love the ensemble above of the tweed dress and white coat, it's so Audrey Hepburn! After the talk Claire came over to us and asked what we thought about the collection - we all agreed that we just love it. There was a lot of talk over the skinny jeans from the collection and I know we are all now desperate to try them, Claire assured us that she rejected some of the denims offered until she found one that held it's shape and didn't go baggy after a while and how the higher waist make them so much comfier than other jeans. As I have never found jeans that I feel comfortable in I'd definitely like to give them a go, maybe they will convert me into a jeans girl! Thank you so much to Claire and Fashion World for the opportunity to attend this wonderful event, I had such a wonderful time and met some truly lovely people and I was really happy that I got to tell Claire how much I loved this and her previous collection. It means a lot to me when I find several pieces from a collection that I like and can wear regularly and Claire and Fashion World have hit the nail on the head with their collaboration - I just can't wait for more! 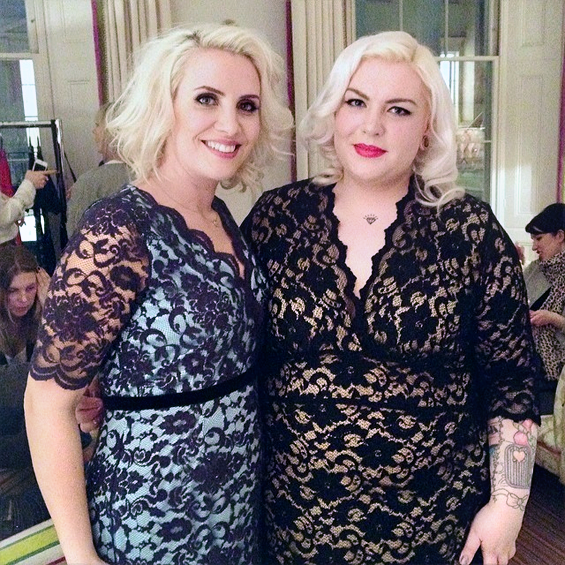 You can view the entire Claire Richards collection here! Click here for my review of the floral embroidered dress. You'll also spot the Claire Richards velour pencil skirt in quite a few of my posts!